Architecture vector footage of a big modern house. 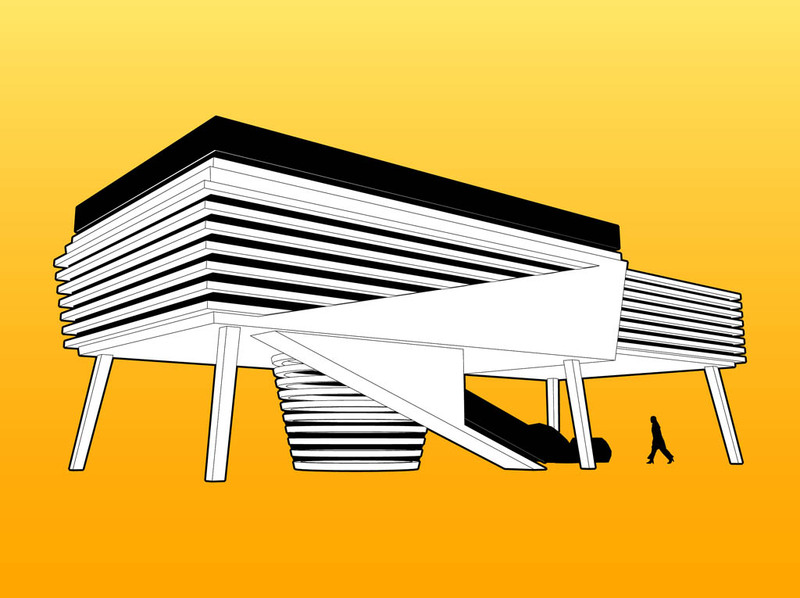 Comic book style graphics of a house standing on big legs, big stairs to the high level of the building. Free vector design to create architecture, homes, houses, buildings and cities designs. House vector for adverts and posters.